Shrimp Cholesterol - Is shrimp safe for a cholesterol sufferer? Is there cholesterol in shrimp? Is shrimp high in cholesterol? How much cholesterol in shrimp? Is shrimp safe for a cholesterol sufferer? How to cook up tender shrimp? Most Americans consume about 2 1/2 pound (1 Kg) of shrimp each year, containing approximately 1520mg of cholesterol. 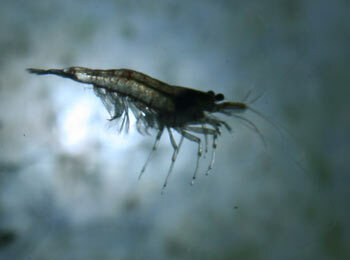 The most eaten varieties in the USA include Brown shrimp, Pink Shrimp, White shrimp and Black Tiger Shrimp. A bit further north, In the North Pacific waters of Alaska, the commonly caught shrimp include Northern Pink Shrimp, Humpy shrimp, Coonstripe shrimp, Sidestripe shrimp and Spot shrimp. In fact there are over 300 varieties of shrimp. Finding the cholesterol concentrations for 300 varieties of shrimp wasn't possible because many varieties of shrimp don't appear to have been analysed for their level of cholesterol, but some guidelines are given below. Serving = 100 g of raw edible food, mixed species. Source: USDA Serving = 4 ounces of raw edible shrimp, mixed species. As can be seen from the tables above, shrimp cholesterol is quite high, but for comparative purposes, an equivalent amount of cholesterol is found in about a 2oz / 60 gram egg, So, cholesterol wise, you can eat twice as much shrimp by weight as you would egg. So, from a cholesterol point of view a serving of shrimp once a week, maybe even twice a week, seems OK, all things being equal, as long as it replaces the whole egg serving you were allowed once or twice a week. Is shrimp safe for a cholesterol sufferer? Of course, the cholesterol in food is only a danger to the 25% of us who have primarily abused our bodies to the point where we have developed high cholesterol - for us, the cholesterol in prawns is of essentially a worrying point. But, it gets better. That egg contains 6 grams of fat, of which two grams are saturated fat, whereas the shrimp has only 1/3 of that fat, but none of the saturated fat which is really dangerous to us cholesterol sufferers. So a cholesterol sufferer is better off eating prawns than eggs by a long shot. In fact, prawns appear to be much safer. If that wasn't enough, 100 gm/ 4oz of shrimp also contains 490 mgs of omega3 and, as we all know, omega3 is good for cholesterol, good for lowering cholesterol levels, in fact omega3 is widely used to lower blood cholesterol levels. 490mgs is a whooping amount to find in any food source. 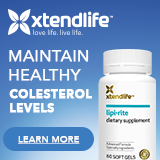 Since writing this, further research has shown that omega 3 may not have the cholesterol lowering effect it was thought to have, though it still apparently helps massively with lowering dangerous triglycerides considerably. So, for the cholesterol sufferer with high triglycerides, shrimp appears an ideal food for most of us. For most of us cholesterol sufferers, we may not be able to eat as much as we want, as it is still a restricted food on a cholesterol diet, but we can still enjoy them occassionally..
Obviously, for a high cholesterol sufferer to have a meal of shrimp, the shrimp needs to be cooked without any fat nor oil, or very, very little oil - like a quick spray of oil. 1 pound / 400 gms of unshelled shrimp = 1/2 pound / 200 gms of peeled and cooked shrimp. Most small shrimp cook in about 3 minutes. Extra large size shrimp normally cook in 7 to 8 minutes, large shrimp - 5 to 7 and medium shrimp - 3 to 4 minutes. The taste of shrimp is ruined through overcooking and the shrimp texture becomes tough and a bit rubbery. For cooking shrimp, place a pound / 400gm of shrimp in a quart / 1 litre of fast boiling water with 3 tablespoons salt. Cover the pot, quickly returning to boil, then simmer ..1... until the flesh ( if shrimp deshelled ) looks dull on the outside and opaque on the inside - Cut a shrimp open to test for the opaqueness on the inside. OR ..2... 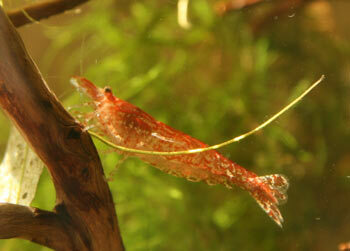 If the shrimp are still in their shells, once the shrimp shells turns pink, they are fully cooked . 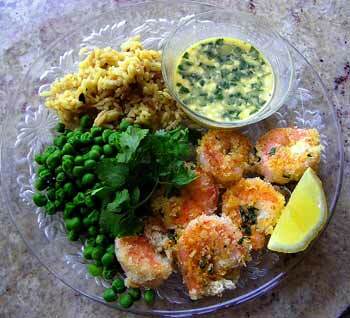 Eat shrimp straight away - with cholesterol free, saturated fat free seasonings if desired. If the shrimp are to be kept a while, then plunge the shrimp into cold water so as to halt the shrimp overcooking in it's own heat.